The month of April brings a regular check-up with your favourite doctor (aren’t you the lucky one?). This time we sat down with rock Queen Suzi Quatro; showing no sighs of slowing down she just released her latest album “No Control”. Speaking of legend, blues great John Mayall, currently roaming around the globe on his 85th anniversary tour, is still a force to be reckoned with. This month we also took a look at some fine release; old friends the Raven Age return with a stunner, Bright Delight follow suit while The Nightmare Stage deliver cranked up progressive vibes. Paddling around in the shallow end are Overkill, Zarpa and Burning Rain, among others. 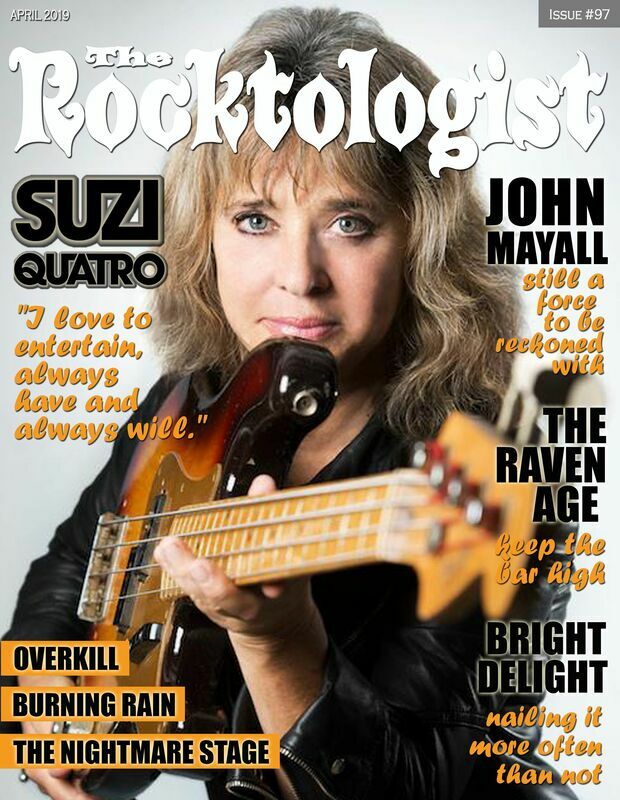 Suzi Quatro: "I love to entertain, always have and always will"
High hopes - There are plenty of killer bands and artists out there just waiting to be picked up, and Rocktologist is happy to give you some useful pointers on which of them to check out. This time we urge you to check out ASOMVEL, rock'n'roll from beyond.